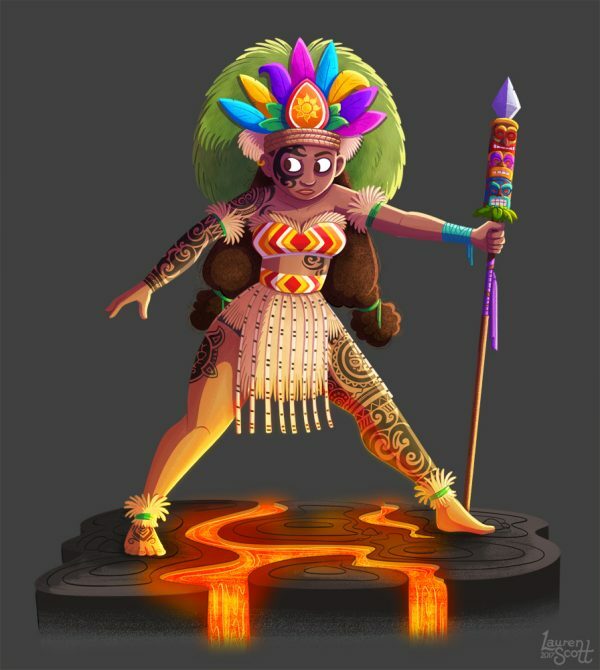 Mahuika was named after the fire deity and from a young age her parents recognised their daughter’s strong will and potential. Though it was unusual for females to fulfil the role of warrior, Mahuika, driven by her fierce determination, went on to become one of the best. She led her people to prosperity and prided herself on protecting her family, going on to become a legend in her own right. Done for the Character Design Challenge over on Facebook. Their theme for February was ‘Maori Warrior’.